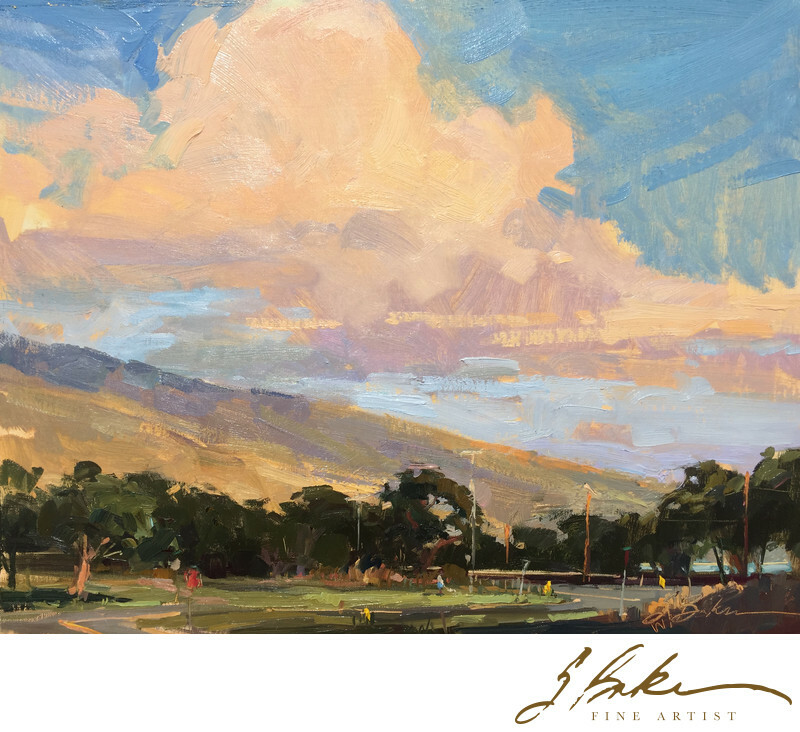 Painted during the Maui Plein Air Invitational, 2019. The scene in this painting stopped me in my tracks, Maui, Feb 16 at 5:15pm. I jumped out of my rental car, set up my easel and 16x20 canvas, toned in a warm ocher color, massed in the dark tree line and threw in the sloping mountain and pink clouded sky as fast as I could. The scene was so marvelous and gone within 45 minutes. I didn’t get through it all but I got enough to capture the most transient light so that I could return to finish with another pass. I arrived at the same time the next day to finish the foreground and tweak what I had previously painted.